Too many young people lack the self-esteem needed to make a positive start in the adult world. Young people withdraw into their own world of adolescence dominated by friends, music and often sexual promiscuity and drugs. Parents and teachers demand respect but fail to reciprocate in a way that young people appreciate. Adults give one verbal message but act in a contradictory way. It is often a case of “Do as I say not as I do” yet we wonder why the adolescents are confused and rebel. Physical and hormonal changes are taking place in their body sometimes causing embarrassment such as acne, sudden breast growth, voice change and through all this sudden change, they are seeking their identity. No longer a child but not yet an adult. Who are they? We can deal with them not as unformed, uncertain adolescents but as individuals of unlimited potential, people with greatness within them. Respect their gifts and individuality and they will come to respect themselves. Bombarded with academic information, they wonder what relevance this has in the real world. Subjects can be boring or stimulating depending on the teacher’s skills and ability to connect with the students in their model of the world. In a world of social media such as Facebook, My Space and Twitter, SMS’s, internet surfing, TV zapping, they connect with the world of NOW so why study Latin or Literature? Often they are unable to write complete sentences as they are used to the SMS language of abbreviations. Why write when you can type? Then there are seemingly non-stop exams and all that stress. For what purpose? To graduate from university with a large debt and difficulty in finding employment? Or minimal job prospects from inadequate training? Yes, adolescence is a difficult time especially if we force our young people to conform and fit in with our world. Instead of alienating them and losing vital contact during a period when our influence can still be beneficial, we can help them quickly through personalized hypnotherapy. All of these problems have been successfully solved or helped by hypnotherapy all over the world, often in a couple or a few sessions. Neuro Linguistic Programming employs language to re-programme the mind aimed at finding solutions and empowered resourceful states. Life coaching can help for a specific project, time period or ongoing challenge. ©Antonia Harrison 2009, the English Hypnotherapist in Belgium offering personalized hypnotherapy and Neuro Linguistic Programming in Limburg, Brussels and Antwerp. Life coaching is also conducted over the telephone worldwide. She is available for presentations to groups and private or corporate training. After over 20 years as a Licensed Professional Counselor, Hypnotherapist, and Practitioner of Neuro-Linguistic Programming, I continue to find that clients come to me with misperceptions and unfounded expectations about hypnotherapy. The purpose of this paper is to clear up some of those misperceptions, so that you know what to expect in working with me or any other hypnotherapist. First, some clients expect they can just walk into my office for the very first time, sit down, be instantly hypnotized, and walk out 60 minutes later a changed person. I wish that were the case, but it isn't. Like most therapists and medical specialists, I want to interview you to learn about your issues and concerns and about your personality. I will ask you these questions in order to develop a plan that I think will best serve you. 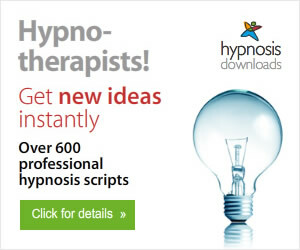 Second, some clients have a very antiquated and narrow definition of hypnotherapy. They think I am going to wave a watch before their eyes and I'll say, "Go into a deep sleep," and they will instantly lose consciousness. I think this attitude is due to the influence of too many Hollywood movies. I am a solution-oriented therapist and counselor. That means that I use several methods to help clients get the results they want. I draw upon traditional hypnosis, guided imagery, visualization, metaphor, Ericksonian hypnotherapy, eye-movement therapies, client-centered methods, cognitive psychology, reframing and Neuro-Linguistic Programming to meet my clients' needs. There are many approaches to hypnotherapy. Some are structured and direct, while some are more creative and indirect. I select the methods from my repertoire that I think will best work for you. However, it is a trial and error process. If one method doesn't work with you, perhaps another will, or you might benefit from a combination of methods. Hypnosis is a learning process and clients sometimes have unconscious concerns they need to work through, or they may need to hear the message more than once, in various presentations. For this reason, I cannot always predict with accuracy the number of sessions that will be optimum for your needs. Third, many clients expect trance to be some magical, mysterious state in which they will experience strange sights, sounds, and sensations, like being on some mind-altering, hallucinogenic drug. Or they might expect to have no memory for the experience at all because they equate trance with being unconscious. Let me explain that trance is not an all-or-nothing experience. Trance is just part of the continuum between alertness and sleep. Therefore, trance is a naturally-occurring state, and people access trance every day. With hypnotherapy, the depth of trance can vary. Some people reach a light trance, and some are very adept at easily accessing a deep level of trance. Light Trance: This is a state of curiosity and concentration, like daydreaming. I may ask you to close your eyes and visualize or remember something. You don't have to close your eyes if you don't want to. You remain aware of your surroundings. You can carry on a conversation. You still have complete control over your actions. You can hear every word and remember what happened during the session. You won't feel weird or spacey or zoned out. Medium Trance: You will feel more relaxed with a deeper concentration. Questions or new ways of thinking about things may enter your mind, because it's easier for you to make new associations, imagine, entertain new possibilities, and obtain insight. You still remain aware of your surroundings, although you may lose track of time. You may or may not notice that you feel more compliant and suggestible. You won't feel weird or spacey or zoned out. Deep Trance: At this stage, your mind is so free of distractions that you can ignore anything not relevant. You can have spontaneous amnesia, and not remember what happened, and rationalize later that you were asleep. Suggestibility is highest at this stage, in which the conscious mind is resting (not participating) and the subconscious mind is most active. You might enter that twilight stage between waking and sleeping known as the "hypnogog." Beyond this state, you will fall asleep. Any stage of trance might be appropriate for the issues you want to address with hypnotherapy. Most clients experience light and medium trance during their first few sessions of hypnotherapy. Although a minority of hypnotherapists say that clients can achieve results only with deep trance, this view is not widely accepted and is easily dismissed. Many people get results from hypnotherapy and were not even sure whether they were hypnotized because they felt so "normal" during the process. Fourth, while some clients worry as to whether they are hypnotizable, many hope and expect that they will achieve deep trance instantly and easily. I too wish that were the case. It would make my job much easier. Most people can be hypnotized, if they want to be hypnotized. However, not everyone will easily reach deep trance. Some clients exhibit a natural capacity for trance work, and they readily reach deep trance. On the other, hand there are many people who simply cannot reach deep trance, or who can do it only after hours of practice. One of the aims of hypnosis is to help you work more closely with your own subconscious mind--the source of your inner wisdom. It is my philosophy that everyone creates their own experience of trance, and that your subconscious mind will take you to the level of trance that adequately solves your problem. I will do my best to help you do just that. Finally, some of my clients expect that I will take control over their thinking and actions, and after hypnosis, they will behave as an automaton--achieving results without any conscious effort. The purpose of hypnosis is not to take away your control--its purpose is to give you back control, so that you can have the results you say you want. The purpose of hypnosis is not to stop you from thinking, but to enhance your ability to think in productive, healthy ways, so you can make a decision about what you want to accomplish and carry it out faithfully. My job as your hypnotherapist is to convince you of the truth that I believe about you, but you haven't yet begun to believe about yourself: You already have within you all the internal resources (strength, power, motivation, determination, creativity, intuition, insight, intelligence) you need to solve your problem and get the results you want. All hypnosis does is help you find and tap into those resources that have been there all the time. 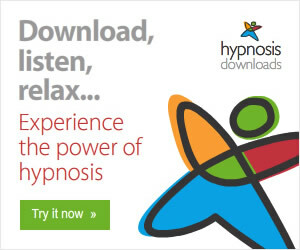 Antonia Harrison is the English Hypnotherapist & NLP Practitioner in Belgium and recommends Download Hypnosis Mp3 for immediate, affordable hypnosis Mp3s to improve your life. Can Hypnosis Help in Learning a Foreign Language? Hypnosis works on the unconscious mind through deep physical and mental relaxation. In this trance state, the mind enters an Alpha-Theta brain wave level making it more receptive to new information where learning becomes accelerated and easy. Likewise under hypnosis, an adult can absorb a new language easily and effortlessly when the relaxed state is anchored to learning. As an adult, one can only learn a foreign language by study and some form of structure. Hypnosis assists the study by leading the person into a state of highly focused attention which is a good definition of hypnosis itself. By utilizing the "learning trance state" we can place ourselves in the optimum state for receiving information and so maximise our chances of picking up new knowledge. Words and phrases come back to you without having to think and you learn without realizing you are learning. The theory behind how hypnosis helps someone to learn a foreign language is also the same approach which helps people to pass exams, improve memory and concentration without anxiety. By bypassing the critical conscious mind, hypnosis works with the unconscious mind where all change and learning takes place. When I lived in Southern Spain, a language school offered a course in Spanish under hypnosis, the idea being that someone would absorb the language easily and without distraction in this deep relaxation state where the unconscious is more receptive to new information and suggestion. Apparently, the method was successful. Studies on sleep learning do indicate a significant increase in recall of target words. • Listening to a loop of words or phrases in your target language will significantly improve your pronunciation, whether asleep or awake. In order to be able to repeat sounds in a foreign language, you need to hear these sounds over and over again. • Listening to a loop of sounds might disturb your sleep if you listen at night so listening during a nap is the ideal, as it is not critical sleep and you achieve the same if not better results. • Sleep learning does help, but as a supplement to active learning, ie testing, retesting and drilling. • Study words 20 minutes before you fall asleep and for 10 minutes when you wake up review the list. Memory solidification occurs during sleep. • As you are drifting to sleep in your mind review the words you learned that day. While personalized therapy with a qualified hypnotherapist is always the best route to follow, if this is not practical, a download hypnosis mp3 to aid language learning through hypnosis is available as well as a professional hypnotherapy script for language learning to use as a basis for personalized therapy. This paper reports an experiment which was designed to determine whether foreign language pronunciation could be improved through hypnosis. Twenty subjects were first given the Harvard Group Scale of Hypnotizability to familiarize them with the state of hypnosis. In the second session each subject was individually tested on his/her ability to pronounce Thai words under three conditions: Baseline, Hypnosis, and Post-Hypnosis. For each experimental condition the subjects heard and repeated the stimulus items on one of three lists of 15 Thai words. The subjects' responses were later evaluated by a native Thai linguist. The results indicate that deeply hypnotized subjects (as defined by self-reported depth) performed significantly better than less well hypnotized subjects.